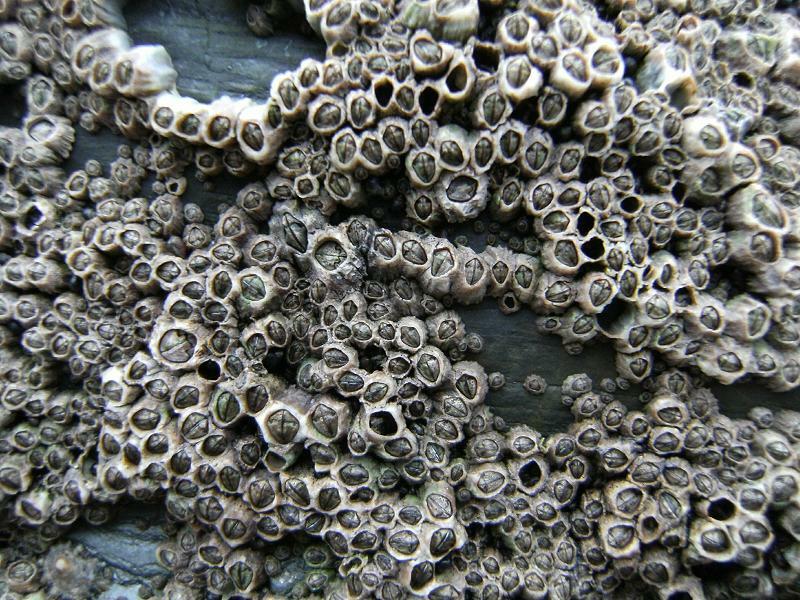 Barnacles start out their lives swimming around the ocean, but as they grow older they ultimately live a sessile life, so they need to choose their anchor site wisely. Some cement themselves to reefs, bellies of whales, and others yet pick the hulls of boats. The latter can be somewhat of a nuisance, as the buildup of colonies of barnacles on boats can create unwanted drag. The barnacle removal process often involves a pricey dry docking (removal of the boat from the water) to then scrape the hull off. What about a much less expensive alternative? Researchers at Duke (1) have studied the barnacle cement to better understand their mechanism for adhesion. It turns out that it is very similar to our mode of blood clotting. When we get a cut or scrape, certain elements in our blood help clot off the injury site to avoid blood loss. These same clotting factors help adhere the barnacle to the hulls of boats. Clots are not always beneficial in humans. A blood clot can break away from a wound site, and cause blockage in small blood vessels; this is an ebollism. To avoid embolisms, there are drugs in a class called anticoagulants. These include heparin and coumadin to name a few. If barnacles adhere by a mechanism similar to blood clotting, it would make sense that a coating or paint with similar properties to anticoagulants would reduce, if not eliminate, barnacle growth on the hulls of boats. To our knowledge there are no companies working on this technology. (1) Dickinson GH, Vega IE, Wahl KJ, et. al. Barnacle cement: a polymerization model based on evolutionary concepts. J Exp Biol 212: 3499-3510, 2009.